Keeping track of the progress of your website and the results of your online marketing are imperative to developing and refining your vacation rental marketing plan. Without data to take you behind the scenes of your marketing, you’re just gambling and shooting blindfolded. Your vacation rental marketing plan needs to be data-driven to be truly maximized. If you’re not using software to track your campaigns, you’ve got to start right now. Your website’s analytical data will show you where your traffic is coming from, how long people stay on your site, and what page visitors looked at prior to leaving your site. Data will help you pinpoint bottlenecks and fix website problems that users are experiencing when they’re on your site. Not generating inquiries from your website? Data can help you find out why. Analyzing your vacation rental website’s traffic and SEO progress allows you to duplicate, optimize and increase your vacation rental advertising results with precision. Maybe you’re using a website analytic tool but you’re finding it difficult to track, use or understand. If that’s the case, I think the tool I’m sharing with you will help you out-a-bunch. If you know about data tracking tools, you’ve probably heard of Google Analytics. It’s the industry standard for website analytics. The resource I’m sharing with you today is an analytics tool a little less well known, but I like it. I’m talking about Clicky. Clicky is an intuitive tool by the creators of Yoast. If you haven’t heard of Yoast, it’s just the best WordPress SEO plugin ever! I recently wrote a book called the Breakaway Kit, and in that book, I share many WordPress plugins and tools like Yoast and Google Analytics. You can download the full list of tools for free on my blog here. In the Breakaway Kit, I recommend Google Analytics, but the reason I also like Clicky is simply that it’s simpler. Oh, and I should mention, it’s free for a single website! Clicky is by far much easier to understand than Google Analytics, especially for those who are more technically challenged. Is that you? Owners have told me they find the information to be very straightforward in comparison to Google Analytics. Even if you’re using Google Analytics as I do, Clicky is great for cross-referencing the different data on each of the platforms. It’ll give you a better big picture. You can see real-time data very easily and know instantly when people are on your site looking at your vacation rental. Clicky has a neat widget (only you can see) that shows up at the bottom of your site when you visit your website. The widget provides you with this real-time data at a glance. 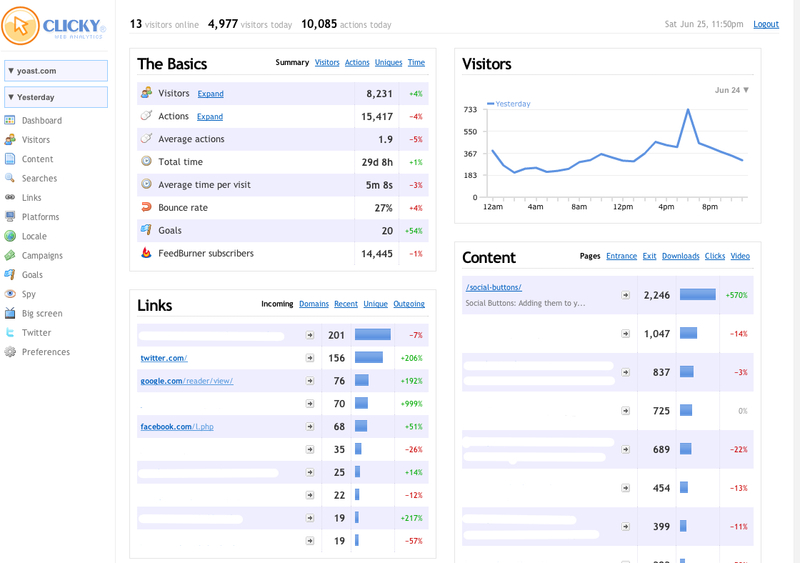 It’s nice not to leave your site and be able to view your statistical data and traffic sources in just a second. This in-your-face feature keeps traffic at the top of mind of owners and managers. Clicky always keeps you informed of the daily facts and stats about your vacation rental website. It makes you accountable for your website traffic. As you can see from the image above it shows you which content is performing best, so you can gauge how your vacation rental content marketing strategy is performing. Clicky provides website owners with what they are really wanting to know without… the huge learning curve. By clearly defining what results constitute a win, we are able to make objective, data-driven decisions both internally and for our clients and it’s the same approach you should take in your strategy. We don’t set standardized processes because we have a hunch they might work, because we heard a neat idea on the radio, or because it’s the way everybody does it. We define success, try a process, and make adjustments based on the facts. Keeping track of your keyword rankings, traffic reports, and content marketing, allows you to keep whoever is helping you accountable for their results. 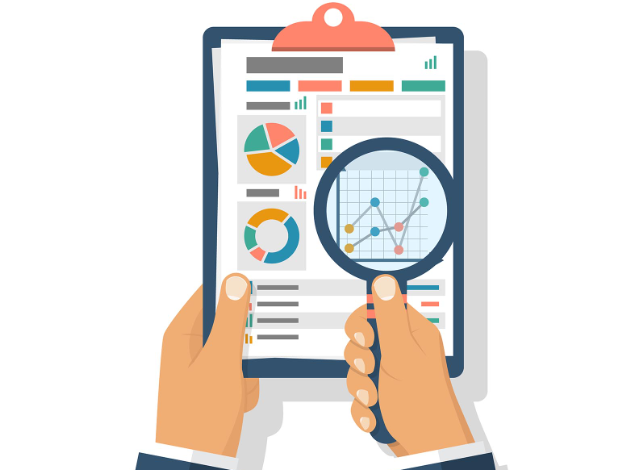 Have you had difficulty with understanding your website analytics? I hope this tool helps you tweak your vacation rental marketing results!